I had a terrible time trying to decide what to do with this necktie. I finally just decided it had some black in it and went with that. It's another Ferrell Reed City of London with a burnt orange background. The vertical diamonds are black and the horizontal ones are burgundy with gold stripes running throught them. 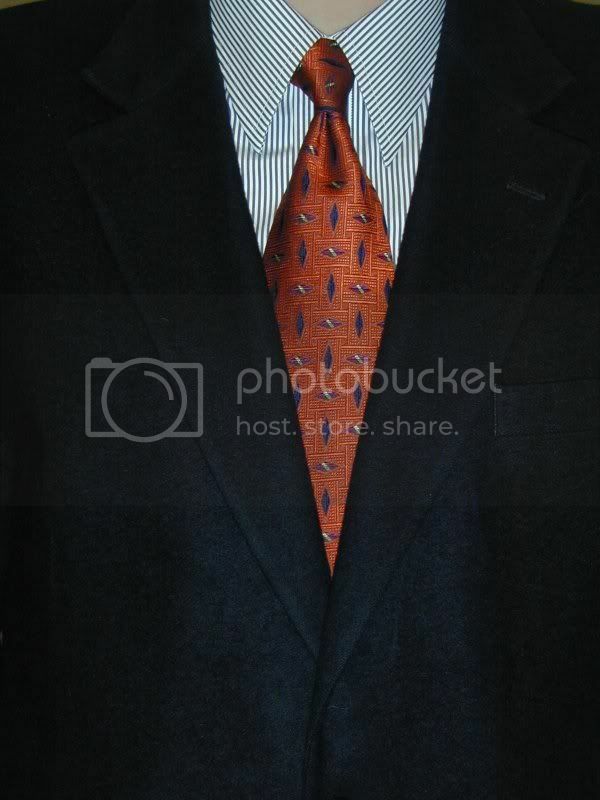 The dress shirt is a black Bengal stripe broadcloth straight collar. I topped it off with the black sport coat, of course, since I was already having a bit of a tough time putting the conglomeration together.